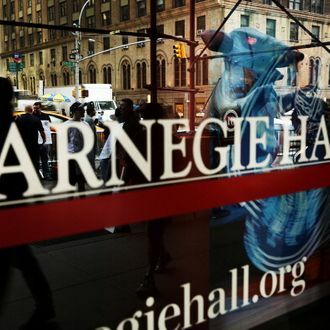 Our three-day long nightmare is over: Carnegie Hall and the union representing its five full-time stage hands worked out a deal to get back to work, with the hall agreeing to hire one more stage hand to work in its new education wing. The current staff stage hands make an average of more than $400,000 a year each. How Do You Get to Carnegie Hall ... ?